Born on October 15, 1926 in Poitiers, France, Michel Foucault was a famous activist of the structuralist and post structuralist movements. His father, Paul-André Foucault, was a well-known surgeon in France and so was his maternal grandfather. This strong family background in medicine predetermined his future career, but Foucault’s early interest in philosophy made him defy all such assumptions. Although his didn’t pursue medicine, much of Foucault’s philosophical work revolves around medical discourses. Foucault’s early schooling was carried out in Poitiers and he had great interest in philosophy since his school days. In 1946, Foucault entered École Normale Supérieure and attended lectures of Maurice Merleau-Ponty and Martin Heidegger on phenomenology. These two teachers had a great impact on Foucault as a philosopher, as is evident in his first publication, which focuses heavily on existentialism and marxism. But as Foucault developed as a philosopher, he turned away from both these aspects of philosophy. Faoucault completed his education at École Normale in 1951 where he earned a degree in philosophy and psychology. He also developed his interest in philosophy here, when he joined the French communist party in 1950. He then started teaching as a professor of psychology. He also took up a job as a laboratory researcher, and till 1955 continued to work there in different capacities. His years at École Normale were shadowed by an attempted suicide, which many maintain was due to his difficulties coming to terms with his homosexuality. 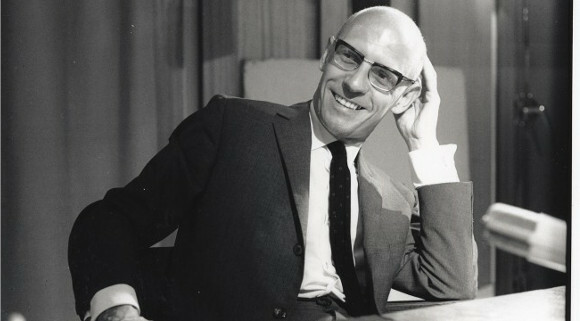 In the 1960s, Foucault became academically established, after holding various positions at French universities. In 1969, he was elected a professor of history of systems of thought, in the prestigious Collège de France. After the 1970s, Foucault became very active politically. He founded the famous Groupe d’information sur les prisons and often protested on behalf of homosexuals and other marginalized groups. Michel Foucault’s main areas of interest were philosophy, psychology, politics, literature and history. He wrote many books, mostly on the histories of medical and social sciences. He is hardly ever perceived as true philosopher although most of his works may be critically reviewed as philosophical. Jean-Paul Sartre was a French thinker preceding Foucault and although he had no personal influence on Foucault, was very similar to him in his interest in psychology and literature. Foucault soon began defining himself as very different and often in contradiction to Sartre. He rejected many of Sartre’s ideas including the judgement of society in terms of transcendent principles. But despite all of Foucault’s efforts to distinguish himself from Sartre there remains a tinge of similarity between the two philosophers which is clearly evident in their works. Foucault’s philosophical reasoning lies heavily on questioning the already based human ideas. His main focus of reasoning was human and biological sciences. According to him, the truths about human nature are based on the ethical, political and cultural norms of the existent society and are not justified by scientific truths. He has explained these ideas in his “critical philosophy”. He frequently lectured outside France, particularly in the United States. In 1983, he agreed to teach annually at the University of California at Berkeley. It was probably in the United States that Foucault contracted HIV. As an early victim of AIDS, Foucault died in Paris on June 25, 1984.